Our retractable banner stands retract into a base/housing using a mechanical spring or “tensioner.” This makes it easy to pull your graphic around a roller for easy storage. Retractable banner stands, pop-up banners or retractable banner displays make a great addition to your promotional and marketing materials. 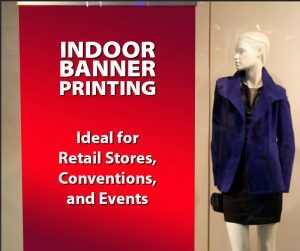 At tradeshows and expositions, retractable banner stands provide strong branding which is easy to transport. 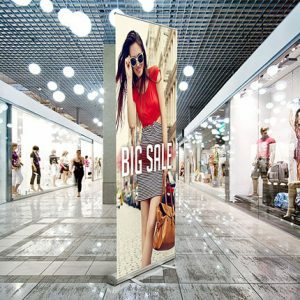 Pop-up banners are great your office, local events, promotions, POP or POS, or outside your store. We have a variety of custom options to match your exact needs. Whether you are looking for unique custom printing, digital printing, brochures, business cards, or postcards for your business, we want to help you shine and empower you to do what you do best, because that’s what we do: our best. In addition, we are a passionate and knowledgeable group of design and printing experts. Therefore, we strive to exceed expectations with our technical expertise to produce the highest quality printed pieces.